Researchers employed by Christian social services met as a network for a second time at the beginning of April. As a result of these meetings researchers are becoming better informed about collective activity and our various areas of expertise. A database of research produced by the network is being developed. With a shared concern about the negative impact of the recession on people the network will be focussing on this issue at its next meeting in June in light of the May 28 Budget. Anyone working for Christian member agencies carrying out research is welcome to join the network. Contact anne.kelly@nzccss.org.nz for further information. An organisation that I was unaware of called the Roundtable on Violence Against Women has recently released a report called Violence Against Women in Aotearoa: a case for an integrated plan of action. This report was launched at the same time as a report called It’s not okay: New Zealand’s Efforts to Eliminate Violence Against Women by the Leitner Centre for International Law and Justice at the Fordham Law School in New York. The Leitner Centre report highlights the policy changes needed to reduce violence against NZ women in the context of our obligations under international law. The Roundtable On Violence Against Women report called for an integrated plan involving a range of interest groups and government to respond to all forms of violence against women. In the current environment the commitment of the government to the Pathway to Partnership strategy is very uncertain. Rajen Prasad, Labour’s Voluntary and Community Sector spokesman, has pointed out that if Tariana Turia wants a more effective community and voluntary sector she should focus first on ensuring those groups providing essential services to families are fully funded (as promised in P2P). This is an issue of great importance to our members and NZCCSS is in discussions with the Minister and is a member of the steering group. In the 25 March issue of Policy Watch we referred to the National’s pre-election policy on benefit abatements and wondered when, and if, this would occur. They promised there would be a one off adjustment to abatement levels (allowing beneficiaries to earn $100 per week rather than $80 before their benefits were abated). Well the wait is over. The government will not be keeping this promise. In a Green Party press release on the policy U-turn Sue Bradford describes the move as “an obstacle to social mobility” and a move that ”makes pulling yourself out of poverty even harder”. The papers highlighted below were presented at Addressing the underlying causes of offending; What is the evidence? A two day forum held late February 2009. A one day workshop of the ‘driver’ of youth crime was recently held in Wellington. Links to a small selection of papers are provided below. Many of the papers contained familiar messages such as the importance of investing in the early years and the effectiveness of early intervention. One new idea I took away from reading these papers was a comment by Cindy Kiro that “when children behave in challenging ways their behaviour becomes the focus of attention. All too often the emphasis is on management and control with relatively less attention of the causes of such behaviour. Children’s behaviour is a form of communication”. She urges adult concerned about children’ behaviour to think about what the kids are telling us. Cindy Kiro last day as the Commissioner for Children is April 30th. The Commissioner’s thoughts on some of the issues during her term in office are covered in the OCC Financial Review report(PDF link) to the Social Services Committee. Pressure is building on New Zealand to sign the UN Declaration on Indigenous Rights now that Australia has announced that it will sign. New Zealand was one of only four countries that refused to sign the 2007 Declaration (the other countries were Australia, US and Canada. In a press release by Amnesty International, their Human Rights Coordinator says “it is time for NZ … to support the Declaration”. A number of groups concerned that ACC may be privatised have set up a ACC Futures Coalition. 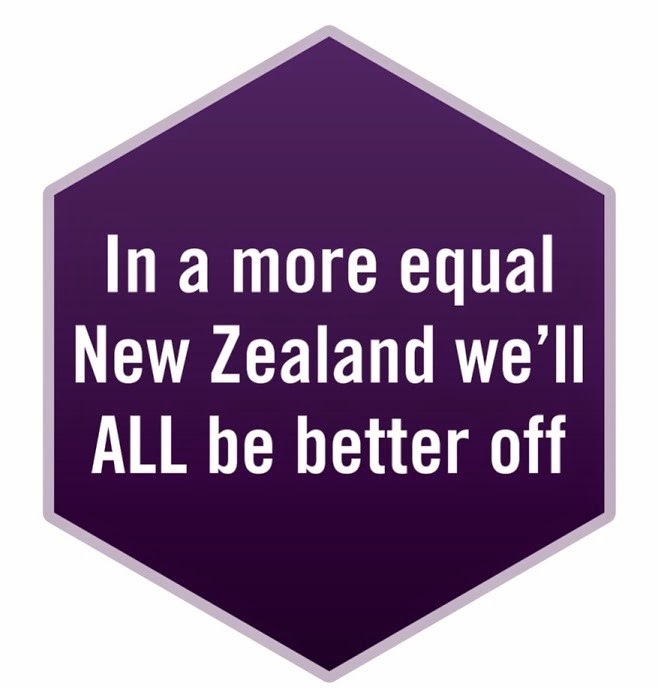 The aim is to keep the current no fault compensation insurance scheme for all New Zealanders. The no cost element of ACC is critical for equal access. Low income families and individuals would be the most affected by any moves to privatise all or parts of ACC. Two of the members of the NZCCSS Researchers Network (see first item above), Bonnie Robinson and Sally Harvey, gave presentations at the 2nd National Not-for-Profit conference last month. Their presentations and those of others are available on the conference website:. Westpac is happy to confirm that they do have a special banking package for Non-profit organisations. Benefits include zero monthly account fees, zero electronic and manual transaction fees, while interest still paid on funds in account. For further information, please contact Suzie Marsden, Head of Corporate Responsibility on 09 336 9873 or your local Westpac branch. This month Summerset Retirement Villages became the first retirement village operator in New Zealand to sign up to the Lifemark programme. Homes with a Lifemark have been designed so that they can be easily adapted as needs change. Thanks for this Policy Watch. Re UN Declaration on Indigenous Peoples, Caritas the Catholic Social Justice agency and NZ Catholic Bishops have been advocating for sometime that the Government sign up to this declaration. See www.caritas.org.nz for more details.